I am sure not every teacher gets excited when the month of MAP testing comes around. It takes some time out of everyday lessons, the room that we take our test in is warm, and the buzzing sound from the lights is all you can hear. However, I love MAP testing because it allows students to understand how much growth has occurred in a given school year. My data collection is currently two fold. First, obviously my kiddos are MAP testing. Secondly, I am currently completing the third round of my running records for reading. In my eyes, It is imperative for teachers and students to receive and reflect upon data. One of the best feelings I have had this week was when one of my girls revealed her math MAP score. Her hand shot into the air and her face was beaming with pride when she uncovered her 12 point growth. Students enjoy encouragement and doing well. It’s not like they wake up in the morning and say, “Hey, I want to do terrible today.” Reflection upon growth in any field is important for professionals, so it should be the same for kids. I was excited to share my findings with my colleagues and principal this year. Prior to our MAP benchmark testing, I was nervous about our upcoming state tests. My students pleasantly surprised me when I reflected upon my data and found that 75% of my class was above average in math, and many of those scores were ten points above average! After seeing what impressively high numbers my students were receiving in math benchmark testing, I had to analyze how this came to fruition. This year I started reviewing in small groups based on student’s needs in math. Each week the students take a mixed review test that includes a section of questions that address a skill we learned within the given week. If a student was unsuccessful in the skill of the week or any other section on Friday, I put them into a group and have a small group review of the material within the following week. It looks like this strategy of teaching really worked. Two years ago I would have looked at you dumbfounded if you told me that I would be pulling math small groups or having math conferences with students every day, but somehow this has happened. You may be wondering about the students in my class that need to be challenged. 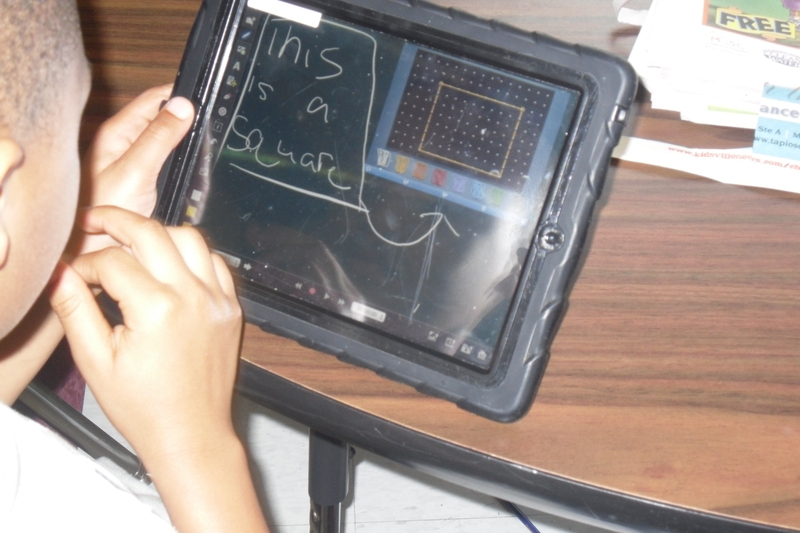 Well, the students that do not need my assistance with a particular skill are able to do many things using their IPads when I pull small groups. Thus, this group transitions from the average section to the above average in standardized testing. Activities they may engage in include pulling up their Explain Everything app and explaining how and why a math question works out correctly. They may train on a certain skill that has challenged them using a division, multiplication, subtraction, or addition app. 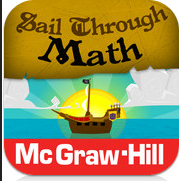 One of my students’ favorite app to use once they have mastered a skill is the McGraw-Hill Sail Through Math app. It’s like angry birds for math because once you master one level on the app it unlocks a higher level. This app covers many fourth grade standards, and the students are excited to master the higher demanding levels. Overall, I am very proud of my students’ math achievements this year. When reflecting upon my reading data, it is clear that 70% of my students are now above average with their benchmark MAP test. This shows me that a majority of the classroom is comprehending the information they read better than an average fourth grader. Upon finishing my running records using the Guided Reading series by Fontas and Pinnell, I realized that 100% of my class is reading on or above grade level, 88% is reading on or above a 5th grade level, and 63 % are reading on a 6th grade or higher reading level. As a class, we accomplished these amazing feats by working together in small groups and engaging students in 1:1 IPad instruction. 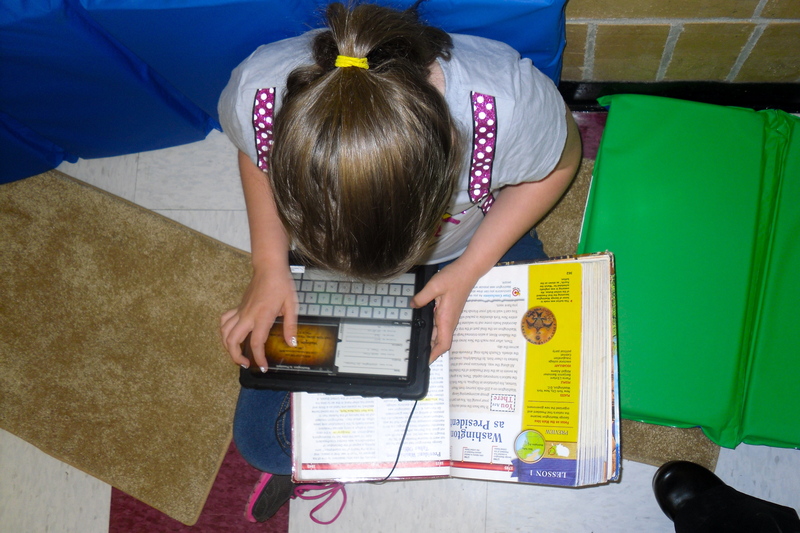 Students in my class are not only interested in learning, they are motivated and engaged to read and learn. Students are able to work with each other at stations and help each other in reading and comprehension tasks and projects. This allows me to work in small reading groups. My students’ stations can change weekly, but as of lately we have the following types of stations: word work (spelling and vocabulary), blogging, reading (non-fiction or novels), research for mini-projects, project creation, and many more. My classroom looks completely different from the way it did even a year ago. If you poked your head in my classroom last year we would still have IPads, and we may have created a project here or there. But, you would have seen whole group instruction. This year has been a complete transformation, and the results show that it was all worth it. The best part is that the hardest part of transitioning from my whole group instruction last year to my classroom this year was simply letting go. I am not sure what new insights I will have by the end of the year and how it will impact my teaching style, but I do know that I must continue to, ” transform data into information, and information into insight”. « What’s your Space Jam?